Journalist Tom Brokaw will be a presenter at tonight’s American Image Awards in New York, an event that will raise funds for Autism Speaks. 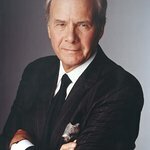 Joining Tom Brokaw as a presenter will be Celebrity Stylist Robert Verdi; Designer Cynthia Rowley; Elle Magazine Creative Director and star of MTV’s The City, Joe Zee; Liz Claiborne CEO, Bill McComb, Haute Hippie Designer Trish Wescoat Pound, and there will be a few surprise presenters on the night. The event takes place tonight, May 26, at 6pm at the Grand Hyatt Hotel in NYC. Find more information here.